KBJ was commissioned to create an exemplary design integrating existing campus buildings and new architectural elements into one unified facility. 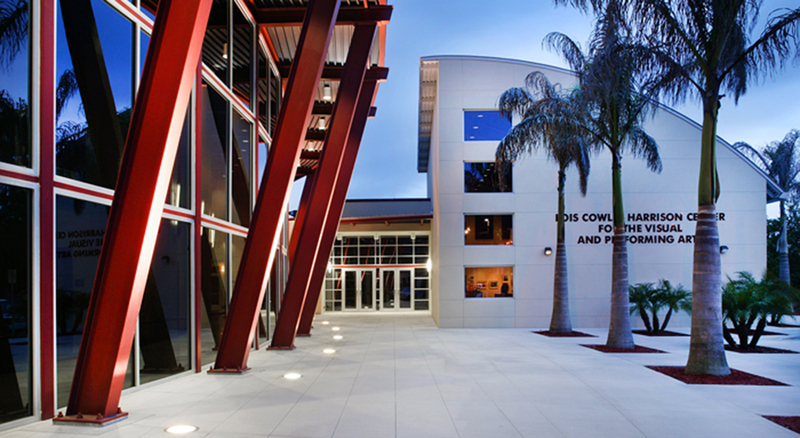 The Lois Cowles Harrison School for the Visual and Performing Arts (HSA) offers majors in music, dance, orchestra, theater, piano performance, vocal music, technical theater, and visual arts. 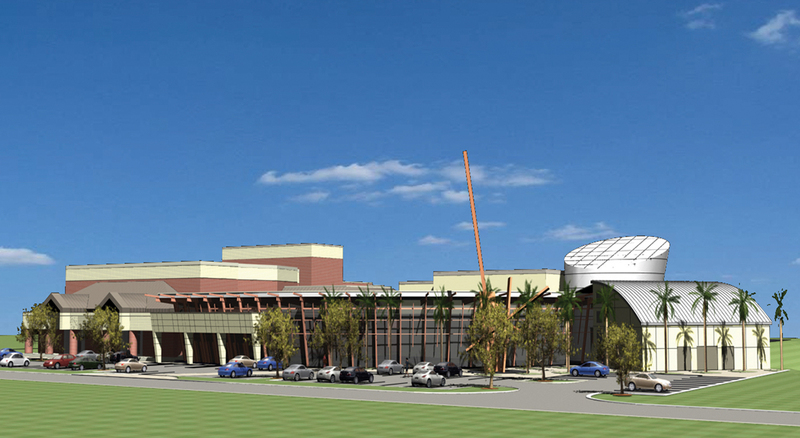 The new design features a signature sweeping front facade with a four story glass rotunda adjacent to the existing auditorium. 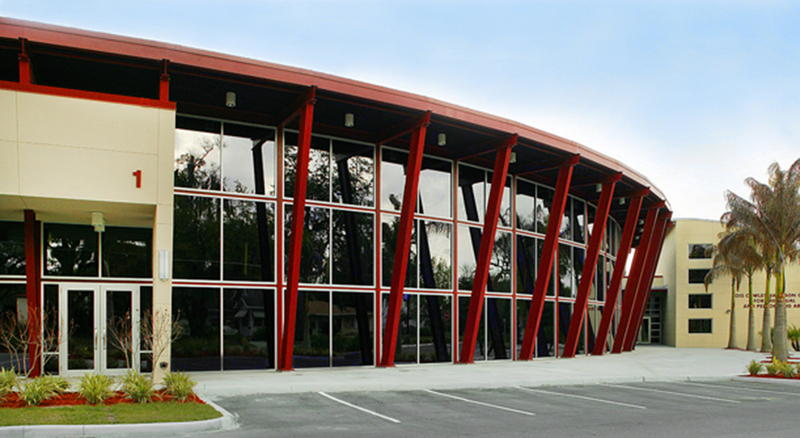 To further enhance the current curriculum a state-of-the-art black box theater, mini theater, choral, orchestra, dance and visual arts facilities are included a part of the new program. Additionally, the new facilities include centralized administration offices adjacent to the main entry and display gallery along with enclosed hallways to help facilitate access control and overall facility safety. As a result of the new facilities the school is planning on adding majors in guitar, film & video production, creative writing, world vocal music and jazz band with each program having it’s own space. HSA will add approximately 120 students in at least four new majors. Completion of the new facility will allow HSA to compete nationally for the finest in performing art school facilities.